Is there a better alternative to Fill and Cross Trick or Treat 2? Is Fill and Cross Trick or Treat 2 really the best app in Card and Board category? Will Fill and Cross Trick or Treat 2 work good on macOS 10.13.4? Fill and Cross Trick or Treat 2 contains 120 Halloween-themed griddler levels. Boo! Today you have a unique opportunity to remember Halloween night! Are you afraid of ghosts? Can you get a lot of tasty candies faster than your friends? 120 unique levels, 6 locations and more than 10 hours of gameplay. New and improved controls. Complete special tasks and get trophies to make the game even more fun. Excellent music, high quality graphics and a truly Halloween atmosphere! This game is for those who want to tickle the nerves! Guess all the pictures and fool an old witch! 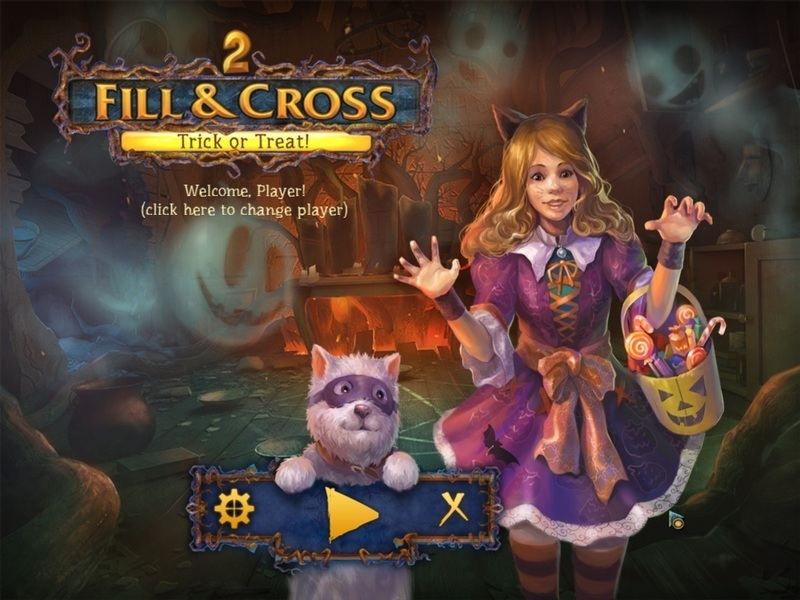 Fill and Cross Trick or Treat 2 needs a review. Be the first to review this app and get the discussion started! Fill and Cross Trick or Treat 2 needs a rating. Be the first to rate this app and get the discussion started!